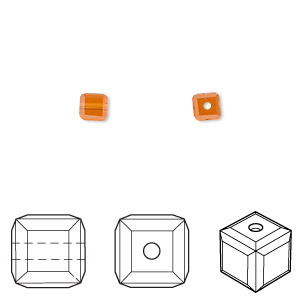 Bead, Swarovski® crystals, topaz, 8mm faceted cube (5601). Sold per pkg of 6. Item Number: H20-4152CY Have a question about this item? 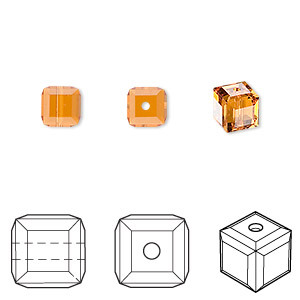 Bead, Swarovski® crystals, topaz, 8x8mm faceted cube (5601). Sold per pkg of 48. 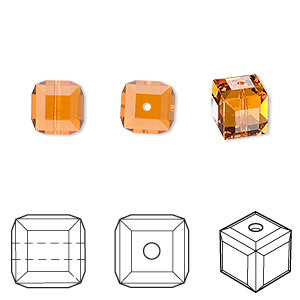 Bead, Swarovski® crystals, topaz, 8x8mm faceted cube (5601). Sold per pkg of 96. 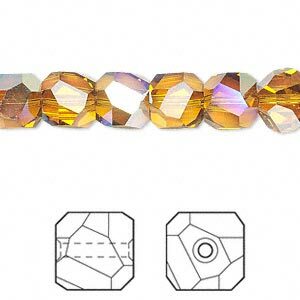 Bead, Swarovski® crystals, sand opal, 8x8mm faceted cube (5601). Sold per pkg of 48. 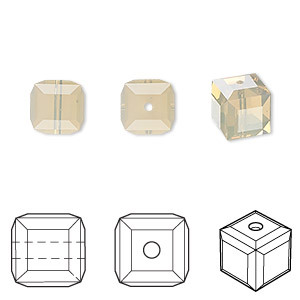 Bead, Swarovski® crystals, topaz AB, 8x8mm faceted graphic cube (5603). Sold per pkg of 6.